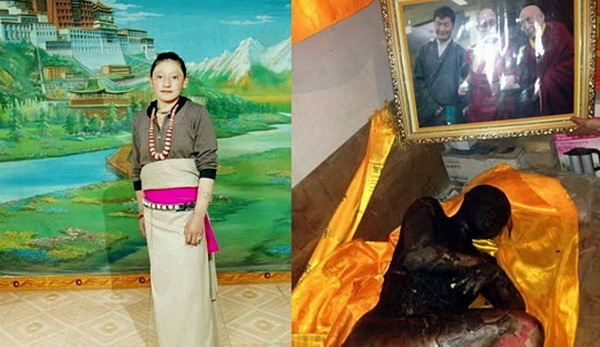 DHARAMSHALA, November 13: Father of Tibetan self-immolator, Tamding Tso, who passed away in her fiery protest last week, has made an emotional appeal, requesting people to pray for his daughter to be reborn in an independent Tibet in her next life. “I request you all to pray that may my daughter be reborn in an independent Tibet and hear and see His Holiness the Dalai Lama in her next life,” Tamding Kyab said in a conversation with a group of local Tibetans who had come to offer their last respects. Earlier reports had indicated that a large number of Tibetans had visited Tamding Tso’s home to pay their condolences and show their solidarity. Before leaving her home that day, Kyab said Tamding Tso cleaned the house, offered prayers in front of His Holiness the Dalai Lama’s portrait and took petrol from their motorbike. However, the aggrieved father said his daughter’s decision was for the larger Tibetan cause and for the wish to see the return of the His Holiness the Dalai Lama and Panchen Lama on their thrones. Following Tamding Tso’ self-immolation protest, eight more Tibetans have set themselves on fire inside Tibet, taking the toll to 72, since the wave of fiery protests began in 2009.